TL; DR: Much to the chagrin of website owners everywhere, the hosting industry is notorious for its robotic support and often confusing pricing schematics. But HostMetro is on a mission to change that reputation. The company is attracting customers in droves because of its transparent, service-oriented approach to hosting. At HostMetro, there are no fluctuating prices or complex packages with extensive feature sets that add no value — just affordable, powerful hosting solutions and an expert IT team committed to helping web entrepreneurs build online presence. It’s an all too common occurrence in the hosting industry. An aspiring web entrepreneur has an idea for, say, a food blog with a plan to attract advertisers and affiliate partnerships. So she signs up for a hosting plan at an incredibly cheap rate and begins to build her brand online. However, after successfully piecing together the foundations of a flourishing web business based on her passions, the introductory term ends with her host. Reading through the itemized renewal email, sticker shock sets in when she sees her domain, security features, WHOIS privacy, and hosting plan costs have tripled in price. And, suddenly, blogging about bacon cheeseburgers becomes a lot less lucrative. HostMetro has made it a mission to make such a scenario a thing of the past. Hazel Dombrowski, the company’s Marketing Specialist, told us an increasing number of site owners have been turning to the host because their previous providers were slamming them with huge bills after promotional periods expired. Site owners told HostMetro they were left to guess the cost of their next invoice and the impact it would have on their bottom lines. HostMetro sought to take a different approach. HostMetro differentiates itself from the competition by providing transparent pricing and top-tier support for site owners. “We wanted to make the payment part simple so our customers could focus just on their website, business, or online portfolio instead of having to worry about a huge $200 bill right before Christmas,” Hazel said. So HostMetro discarded the concept of introductory rates in its marketing strategy. Instead, the company employed a more transparent approach to its pricing structure, giving customers a fixed cost and peace of mind their charges will be consistent. And, when coupled with an expert staff dedicated to delivering hands-on support, Hazel said customers are finding HostMetro an effective partner to help them build their online visions. HostMetro offers its services and a pricing model unlike most others. The main idea is to keep offerings straightforward and budget-friendly. However, Hazel told us maintaining the balance between delivering simplicity and affordability while still providing quality solutions is challenging. This attention to financial detail has been a differentiating factor for the company — especially in regard to many hosts that offer an array of web solutions. Though HostMetro offers unlimited domain hosting, unlimited email accounts, and other hosting standards, it also has to weigh its options in regard to what else it can offer and still manage to maintain a low price point. Hazel told us this requires HostMetro to focus on delivering the features that provide the most value for site owners — for example, grouping together effective security protocols and backup functionalities but limiting choice when it comes to the number of website builders available. Most of us have experienced navigating endless phone trees trying to find a live customer service rep only to come away angry without our questions answered. And, as Hazel said, this has become all too common in the hosting industry. With that customer pain point at the forefront, HostMetro revamped its customer service style. Being a much smaller, independently owned team, the company has to make sure it puts its resources where it needs them. As a result of this shift in thinking, the company noticed a significant increase in employee performance as members became more aware of the various aspects of the company. The hosting industry has experienced many shifts over the decades; however, one aspect that remains the same for many companies is offering too many services. HostMetro found that, when it initially started, many providers were offering a wide range of plans with numerous add-ons that many site owners weren’t employing and didn’t really need. Hazel told us the lack of customer support, fluctuating pricing, and poor service has created an environment where many site owners are hopping from provider to provider. HostMetro also noticed many of the customers who were turning to the company from other hosts were suffering from analysis paralysis — being offered too many options, too many tiered packages, and too many different price points. 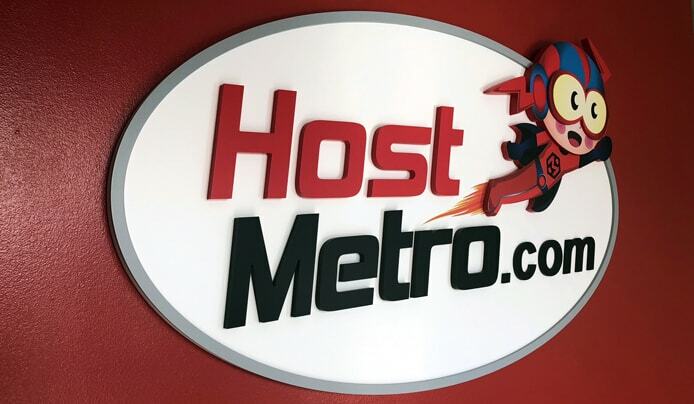 HostMetro found that simplified plans, such as its Mega Max and Super Max packages, were what many site owners were looking for. “It allows us and our customers to focus on one thing instead of being distracted by new services,” Hazel said. HostMetro’s primary goal is to maximize efficiency. And Hazel said the host is accomplishing this through optimized hardware to deliver the best possible speed and security. The increased demand for more robust hosting packages has not gone unnoticed by HostMetro, which is why the company is looking to offer virtual server solutions to customers in the future. In addition, HostMetro wants to have its current plans and services functioning to their highest capabilities so customers aren’t upgrading to VPS unnecessarily. Hazel told us HostMetro is committed to evolving its product offerings alongside changing technologies and market demand. The goal is to stay competitive in the crowded hosting market by ensuring customers have the support and reliability necessary in today’s online landscape.